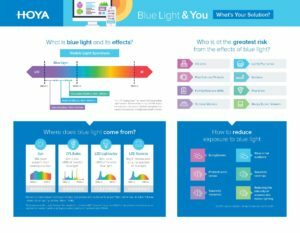 In an effort to clear up confusion around the performance of blue light filtration products, Hoya spent the past several months combing published peer-reviewed research to develop new tools that help independent practices know fact from fiction. The white paper, “What We Know – And Don’t Know – About Blue Light: Evidence-based Guidelines for Recommending Blue Light Filtration for Your Patients,” and accompanying tools have been released to the market today. Visit http://info.hoyavision.com/us-blue-light-white-paper for more. People today first go to the Internet when they need assistance and they search using plain problem/solution based words and phrases. 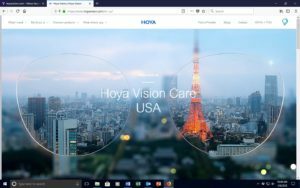 The new hoyavision.com is written in plain simple sentences so the average person visiting the site can understand the features and benefits of HOYA’s lens designs, materials and treatments. ECPs can get connected with their local representative and patients can get connected with an eye care provider in their zip code. Whether you want to know how to clean your eye glasses cleaning cloth or the research behind HOYA’s latest product launch, HOYA’s new blog content is written by experts in that field. Eye care providers are offered product technology, practice development and other content that is geared toward helping them build their business and differentiate their brand. Independent practices are encouraged to use the advice to develop alternative strategies to BOGOs, two-pair-for-$99, and other downward spiral pricing tactics. The new hoyavision.com has been translated into more than 40 languages. Each country or region has the ability to customize their content and blog posts for the needs of their market all while staying within the global brand standards and contributing to the maximization of HOYA’s global presence online. Explore the resources on the all new www.hoyavision.com.